NORWICH, CT- The Connecticut Tigers and the Better Business Bureau Serving Connecticut are proud to announce that the nomination process for the 2019 CT Military All-Stars promotion is now open and will run through July 23rd! 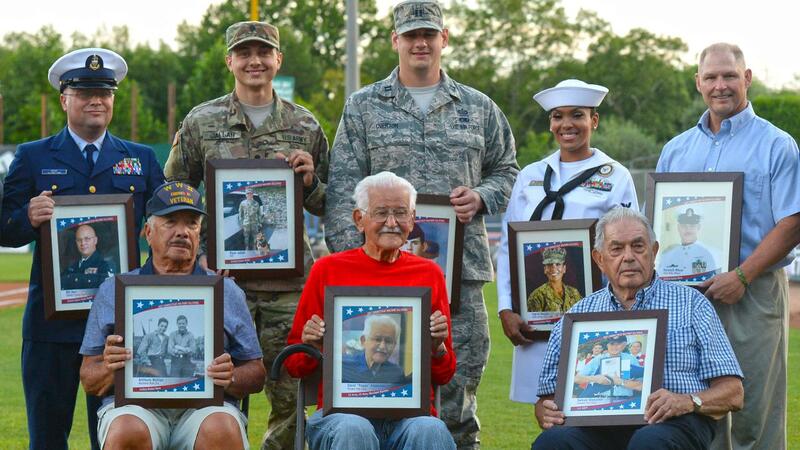 The sixth annual promotion will honor nine current or former military personnel prior to Military Appreciation Night at Dodd Stadium on Friday, August 23rd. 2019 will be the seventh consecutive season that the annual Military Appreciation Night will be presented by the Better Business Bureau Military Line which provides free services, consumer education and other resources for military families, to assist them during and after deployment. The nine honorees will be selected from the pool of nominations by a panel of community judges and will be honored on the field prior to the game. In addition, the first 1,000 fans through the gates on August 23rd will receive a baseball card set featuring these heroes. Nominations representing all branches of the military are welcome. The submission form can be found online by visiting cttigers.com/military. Fans can also pick up a nomination form and submit their nomination in person at Dodd Stadium at the Dime Bank Information Booth during Tigers games or in the front office during regular business hours through July 23rd. In addition to the CT Military All-Stars ceremonies, the Tigers will be wearing specially designed and military themed jerseys during the game on August 23rd. The jerseys will be auctioned off during the game. The proceeds will go towards a scholarship for a military family through the BBB Military Line.